They make a game about organized crime and then find out that one of the person they based a character on is actually involved in organized crime and somehow that's bad for them? The marketing just write itself, take advantage of that stuff, don't pull the game off the shelves! I've just finished playing the alliance alive on 3ds and.... mehh, the difficulty is all over the place, with the main story component being so easy you can win every battle by just mashing x. But the optional can be ludicrously hard, with enemy having attack that can wipe out your entire party in one shoot. It's a saga game so a lot of game system are really nebulous and unexplained, for example all of your attack have a analyze % to them and the game never explain what this does. You can also screw yourself up if you know ahead of time what some of the system do. I hope that's sarcasm lol That'd just be in poor taste. Not to mention the fact that unless dude was a member of the Yakuza running insurance scams or selling illegal goods his use. and possession of illegal drugs has nothing to do with organized crime. possession of illegal drugs has nothing to do with organized crime. It... doesn't mean he was participating in organized crime, necessarily. But that's kinda like saying possessing Cheerios has nothing to do with grocery stores. Seems like the main takeaway from all this is that Japan treats illicit drugs the way we treat pedophilia, and vice versa. Culture is weird. Going to have to side with the West on this dichotomy, though. How? The tag line write themselves "watch performance so life like they're done by people who deal with organized crime" (true he's not himself member of the yakuza but that doesn't matter in marketing). Yakuza isn't a series about teaching kid to count, they're about organized crime who derived part of there income from selling drug, some of the drug he purchase probably at some point filter trough organized crime network (hell the game have murder in them, way worse than drug smuggling). The customer buying the game knows that and that'll just enhance the experience for them (well not really, but again this is marketing). Halting the sales of the game is such a terrible move, it'll be like if a viral video had a specific song playing in the background so the song owner pulled it from stores. Now the game is all over the news, I hadn't even heard of it before now. They could have spent millions of dollar in advertisement and they wouldn't even have gotten 1% of the traffic they're getting now. Selling the game at the time wouldn't have caused any backlash (again, the sort of people who would be upset about this aren't the people buying Yakuza game). Pulling the game is such a bullheaded move. I'd rush it to have it out in the west right now at the very least. For example, a few year back this fan trailer went viral (https://www.youtube.com/watch?v=gEJHrmliVQw), in it it very clearly associate farm simulator with drug cultivation (there's literally a picture of marijuana at the start of the video). I wouldn't be surprised if that trailer alone pushed more than half the sales of this particular version of sam simulator. Can you imagine how stupid it would have been for the company to pull the game because of that? Oh, you're applying western outrage culture to this. Well, we're not talking about a game curtailing to American feminists here or anything. The people in this case actually are the type of people who would buy the game. In Japan, anyway. Japan hates drugs and would totally shun the guy. Maybe Americans won't care, but Japan definitely does. 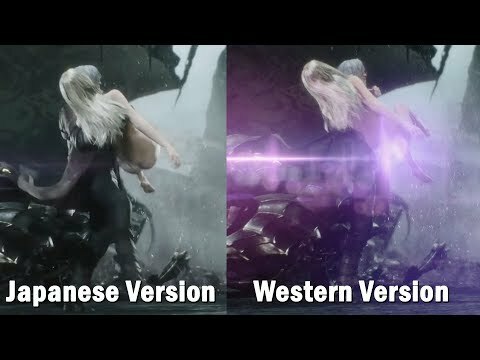 As expected of Sony. Surprised the Japanese version wasn't censored too. People with addictions need help, unfortunately they really do seem to be making an example of him. Destroying someone for an addiction isn't beneficial in the end. Hope he makes a full societal recovery. Seems Japan takes these things seriously especially if there is a scandal. I don't think we can make a comparison of between a game vs real life. One really has nothing to do with the other. If that were the case then we'd a lot of things shelved. When you're working for a company you working for them and you get paid. What you do outside is your business HOWEVER if it manages to come in contact with your personal work then depending on the policies of that job they have the right to keep you or eject you. But I agree that it shouldn't be so much about erasure because people still KNOW who did what and when. Social media makes it easier to see these things and report on it. So nothing can be hid these days. But I hope they don't shelf the game because of it.